i quite like the feeling of being plaid-clad. it may be the comfort food of clothing. 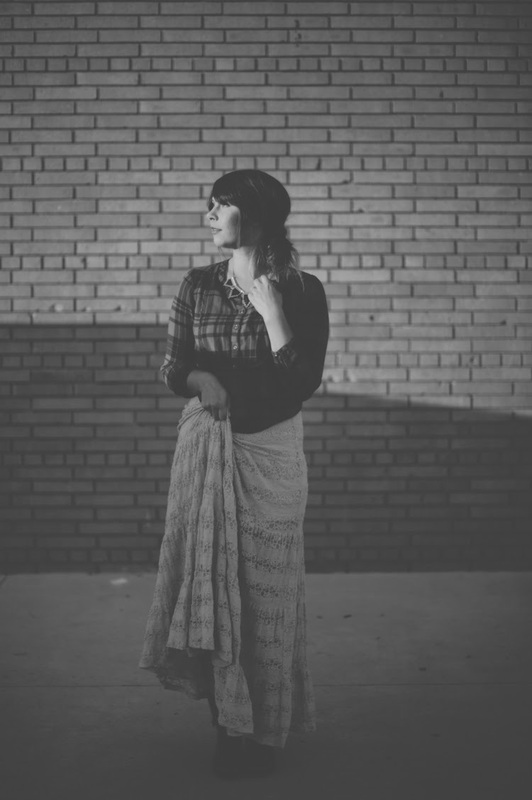 and a full-fledged prairie skirt never hurt nobody either -- so a stellar team, if there ever were, i say! back to plaid, because, oh, we love you. especially when your plaid glory is wrapped up in a good, soft flannel package. there's something transformative about feeling as fit for fall as the changing leaves. any ensemble that leaves me looking equally fit to climb an apple tree or lay belly-down by a fire -- is an outfit fine by me. 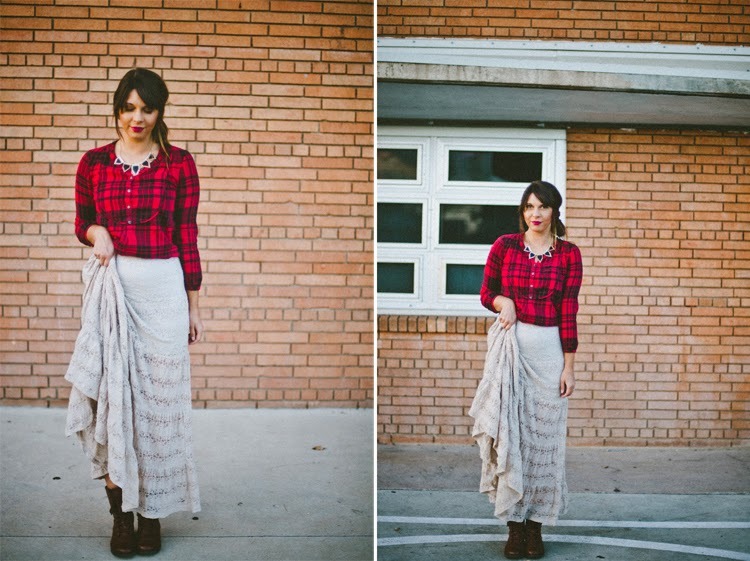 steal your boy's plaid shirt & beanie, and pair it with this skirt…or skip your beau's duds and go for a plaid dress -- i'd gladly rock this with a good chunky sweater or leather jacket. but seriously. that dress. i'm drooling. I am loving your skirt! Adorable. Also. grab a button? Of course I will!! Check out my blog to see how it looks! 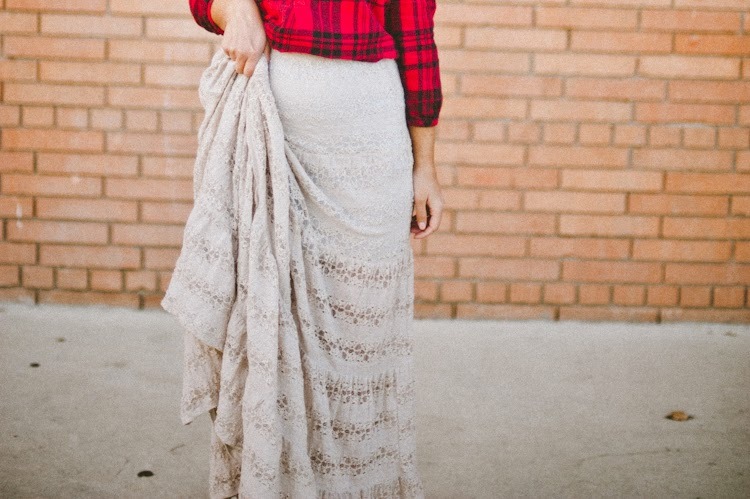 I love the pairing of plaid with lace. So fall! :D Love this outfit.